Locally owned and operated, globally minded. It was a beautiful summer day in 1995, on a beach in San Diego, when Albert Lewis pulled his surfboard from his truck and began to wax his board. He unwrapped his surf wax and the plastic wrapper that it came in blew away. 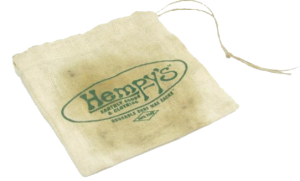 As he was chasing the wrapper down the beach, he thought: “what if I could make a reusable surf wax bag?” He searched for the most sustainable fabric possible and found the answer: Hemp! Thus, Hempy’s was born! 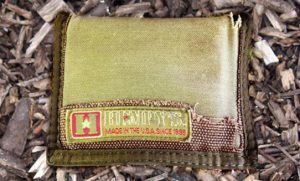 In our 20 years of pioneering the U.S. Hemp movement, Hempy’s has established a worldwide reputation for its quality, U.S. manufactured, Hemp apparel and accessories. One of our core values is long-term sustainability in all aspects of what we do. Every decision we make is based on the idea that in order to be truly sustainable, all stakeholders’ interests must be met, planet earth being one of the key stakeholders in this equation. We are a company that believes that all things are connected and therefore, every detail matters. We wrestle daily with the decisions of how to deliver the very best quality and value to our customers while honoring the crafters who create our products and the planet that sustains us all. Hemp has proven to not only be a renewable and sustainable source of clothing, paper goods, and food, but also a revolutionary source of green building materials, ground breaking medicines, car parts, batteries and so much more. As Industrial Hemp crop production is brought back into the United States, Hemp cultivation could save the American family farm, and we are confident that human ingenuity will continue to find exciting new uses for this truly remarkable plant that nature has given us. At Hempy’s we are committed to a planet where all inhabitants thrive. We believe that hemp can play a major role in creating a sustainable world. Although Industrial Hemp is one of the oldest cultivated crops on the planet and was once 30% of all agriculture grown in the U.S., we at Hempy’s believe that in many ways we are just getting started with the potential of this amazing plant. As we combine the power of Hemp with today’s technology and scientific knowledge, hold on to your Hempy’s hat, because Hemp can help save the world!